2. 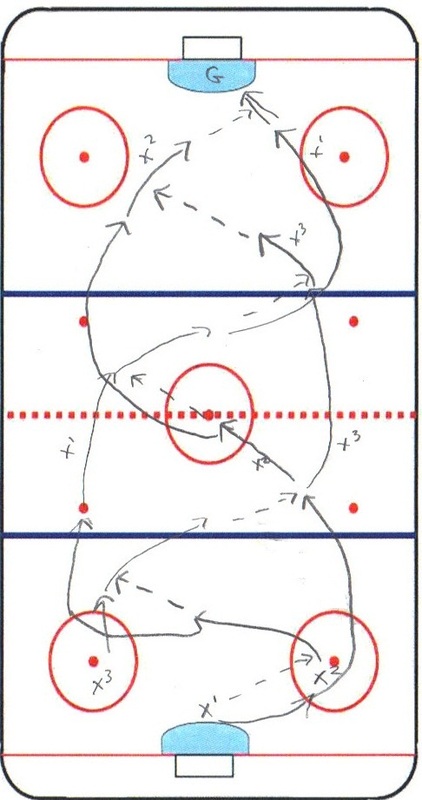 Middle man passes the puck to one wing and follows the pass. 5. Players continue until they reach the other end and shoot on goal. 3. 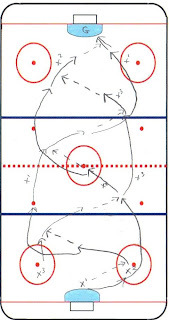 This will help them work on moving left to right as they look to pass or are open looking for a pass. 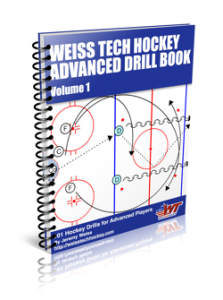 As a way to involve your Goalie, have them start the drill always passing out to the side, never to the middle. This is a take on an old Basketball drill I used to run.